Yay, the fourth trailer for the upcoming college music drama Heartstrings (formerly known as Festival and the Korean title is You’ve Fallen for Me) has been released and this time we hear people talk in it. I always need to hear dialogue to get a better sense of the general chemistry and vibe. I have to confess that based on the trailer, I might be rabidly second couple shipping. Lordy is Song Chang Ui mesmerizing in the brief glimpse we got of him. Same goes for So Yi Hyun, who I love playing outwardly elegant but inwardly steely type of characters. I already know I’m gonna love Park Shin Hye with Jung Yong Hwa round 2, but Yong Hwa’s delivery in this trailer isn’t very reassuring that he’s improved that much as an actor. Luckily, the chemistry is still there with Shin Hye, who I already like from the glimpse of her fiery and expressive personality. If all goes well, I’m going to love all four characters and this drama will be the Summer treat to cure my Lie to Me ending doldrums. I’m a bit worried that YongHwa will end up overplaying the jerk-side of his character and we lose the soft-side. He’s way harsh in that last shot. Although if Shin Hye’s character likes to fight back, I may just love the hot-angry scenes between them. *sigh* Excited to start this new drama but sad because it means another one will end. as much as i love BL, i have to face reality and move on…RECHARGE and look forward to another favorite of mine, HS…i am a yab/anjell/psh fan so cant wait to see this drama…shinhye with yonghwa is something to spazz about just because they are my favorite yab couple…their chemistry is still there, being comfortable with each other still shows on screen…and i just love the friendship of the anjells.. Excited for this. But I am worried about the acting of YongHwa. Fingers crossed he will deliver. looking forward to seeing this!! cant wait! Like previous commentators I am pretty excited to see this show. Are you going to recap it when it comes out? Just curious. Bahh, I’m practically going crazy waiting for this show to start. I can’t waitttt!! I agree with your assessment on JYH, however. I suppose we’ll have to see once it starts airing. Here’s to hoping! I’m getting more and more excited on this upcoming kdrama. And anyways for some they nedd a cure for lie to me so I think this is the best cure because I’m also inlove in lie to me until now, not the quite really but still all the LIARS need to hear this, even thought it’s hard we can move on brothers and sisters, I’m with you. T_T gonna miss both ah jung and ki joon. thx haha! 😀 found this in facebook! thx haha! 😀 i found this in facebook! I think I’m going to enjoy watching this! And by the way this summer is really full of hotty romance, you need a ice cream after watching this brothers and sisters. But for us in here in phillippines we need a jacket because it’s really cold in here it’s raining all over in here. I hope we still feel the hotness of actors in this kdrama. Please, watch this with me? We’ll be squeeing like mad about the pairings, I can feel it! YY, SCU is ALL YOURS. My computer has been shipped today so it should be delivered, maybe, on Monday *crosses fingers* which means I’ll start tweeting again sooooooooon! Which means oooh we can squee together as we watch it? Ahhhh, can’t wait, can’t wait! interesting cast, will surely be watching Heartstrings. Park Shin Hye, Song Chang Ui n So Yi Hyun are great actor/actresses, no doubt. 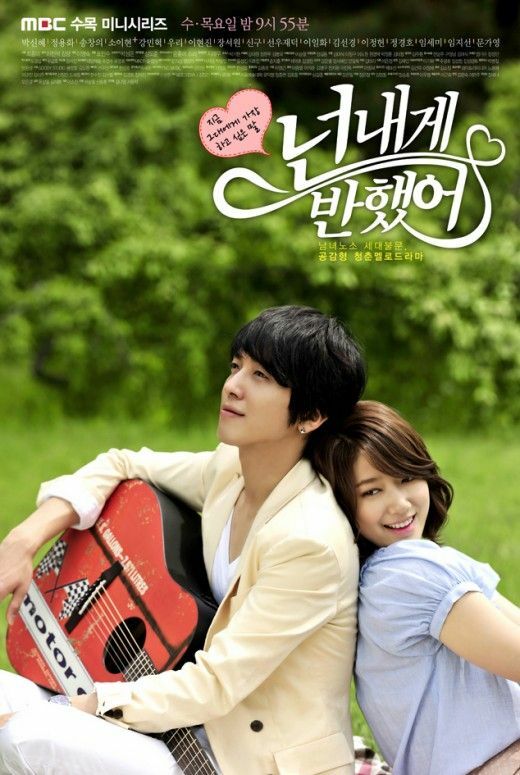 will be looking forward to shin hye and yong hwa chemistry on screen. Fighting! I’m all over second shipping too.. I already can feel the angsty chemistry between SCI & So Yi Hyun..